When people think about orthodontics, they tend to think mostly in terms of the aesthetics – straightening teeth to get an attractive smile. Of course, aesthetics matter. A good looking smile can boost your confidence and influence how you’re perceived by others. But there are health factors, too. Crooked, crowded teeth, for instance, can make home hygiene more difficult. When brushing, flossing and using cleaning tools such as proxy brushes and rubber tips are hard to do because of how the teeth sit in the mouth, at best, home cleanings may not be very thorough – if done at all. The consequence, of course, is a higher risk of cavities and gum disease (and with the latter, a higher risk of other inflammatory conditions such as heart disease, diabetes and stroke). There are functional considerations, too. A misaligned bite – one in which the teeth don’t come together harmonically, with even pressure – can eventually lead to muscle soreness, TM joint dysfunction and pain throughout the head, face, jaw, neck and upper body. The surfaces of the teeth may wear down more quickly and irregularly, leading to the need for restorative dental work that otherwise may have been unnecessary. In short, when needed, effective orthodontic treatment can benefit a person both physically and mentally, helping to support their total health and wellness. And although ortho is most often promoted for young patients, as their developing teeth and dental structures make teeth easier to move into proper alignment, teeth straightening can be done successfully in adults of all ages (even, in some cases, seniors). 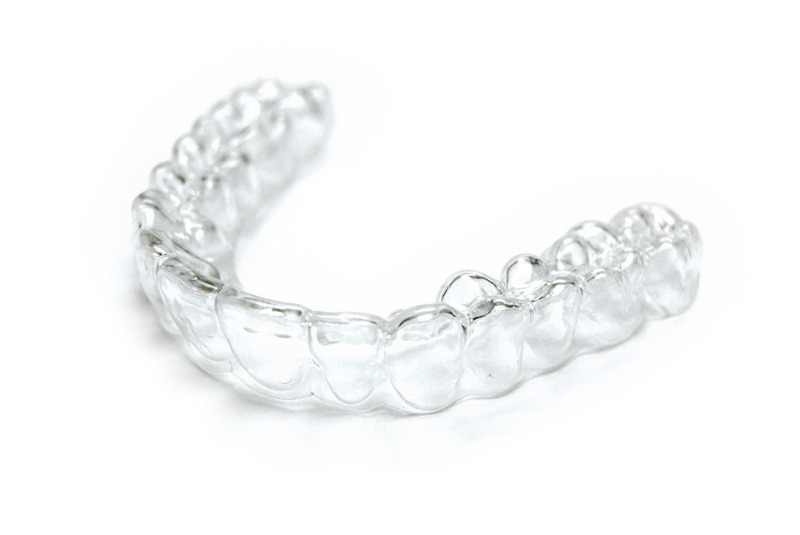 One of the things that’s made orthodontics more attractive for adults has been the development of good alternatives to the traditional metal brackets. For instance, in cases where brackets remain the best choice, white polymer ones may be used for a more natural appearance. In other cases, “invisible” appliances can be used, so it doesn’t even look like you’re having your teeth straightened at all. ClearCorrect. The appliance features superior aesthetics, not clouding up as some other appliances do. It’s easily removable and doesn’t interfere with eating or regular cleaning habits, and its custom fit ensures good comfort. It’s the least invasive teeth straightening system I’ve seen and is appropriate for a wide range of individuals, from teens to seniors. Placing the appliance is also much simpler and quicker than placing brackets. You can read a full description of the process here. To learn more about ClearCorrect and the other services we offer at my Glendale, CA, office, just visit drerwin.com or give us a call at 818-246-1748. I look forward to helping you – or your child – get and maintain a healthy, attractive smile that supports your total health.